Due to the interest in One Network’s Platform in connection with the Department of Defense and the Navy Maritime Maintenance Enterprise Solution – Technical Refresh (NMMES-TR), One Network is hosting a special event for Systems Integrators and Service Providers to explore NMMES-TR, CIP and the ONE Platform. This article is in response to one of the many questions received on the ONE Platform. 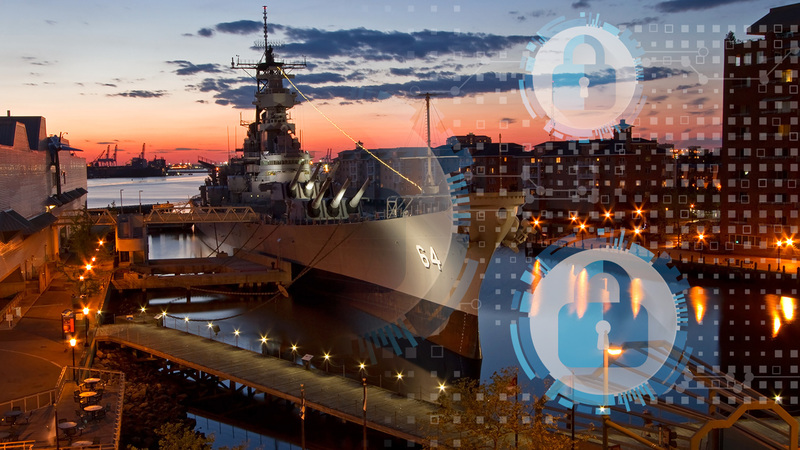 In the run up to the event on NMMES-TR and CIP, Transforming the Dept of Defense, we have had lots of conversations with customers and potential clients on permissibility. What does it mean, and why is it so important? Let’s put it into context with an operational example from the consumer world. They simply cannot afford to have sensitive competitive data (cost, business process, etc) find its way into any one else’s hands. The security implications are immense, and most approaches would be to lock down the instance(s) from outside personnel, and limit access to systems internally through only a need to know. But what about the companies each Grocer does business with? They have many of the same suppliers. They use many of the same transportation company providers. They have stores in a wide geographic area. They could choose to have their own ERP systems (many do), which makes it hard to “connect” to the outside world to see a “Single Version of the Truth”. The integration efforts of these companies alone could be staggering. Yet they are in the same business. Each role gets a different set of features in the user interface. Why does this matter? It enables companies to connect to a single network and do business securely with all their trading partners on the same network. For example, a supplier is connected to the network only once. It will negotiate prices, quantities, and delivery schedules individually for each grocer, and only that particular grocer can see it¹s information. The other grocers operate their business in their own way, including separate master data management schemas, negotiating their own costs, quantities, etc. Another feature of the permissibility capability is the User Interfaces; each user has an assigned role, or multiple roles, with each role having access to only the information and process for which they are allowed permission. The UIs do not show superfluous information on their UI screen, it shows only the information they need. Audit capabilities and separation of duties further enable the integrity of operations across their business. The benefit is to have extensive security of business information (business process, cost/price information, etc) while being able to conduct business across a network, thus extending a company’s enterprise but providing them a “single version of the truth” across all their business operations. This capability is only available through multi-party networks. Previous Post:Retailers and Consumer Goods Companies: You Need to Upgrade your Supply Chain if You Want to Succeed!